Back in 2004 I was fortunate to study with Matt Wilson in New York City thanks to a grant from the Canada Council for the Arts. A concept that Matt often stressed in our lessons was the important idea of "flow" when dealing with the drum set from a physical perspective. This would lead him to also introduce to me some concepts and ideas that he had learned from George Marsh, the author of the book "Inner Drumming". 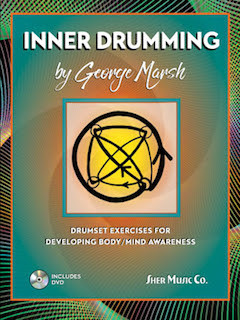 George Marsh has recently published his book entitled "Inner Drumming" and it consists of a very unique method and approach to moving around the drums. 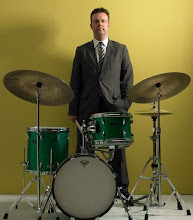 Combining a very clever and boundless approach to coordination combined with a Zen-like approach to movement and how we physically interpret and connect those coordinated patterns , Marsh offers a fresh direction to the drum set which I recommend to everyone. It all makes you think and play outside of your "box". 1) What is "Inner Drumming" and what prompted you to publish this book? Inner Drumming is the study of internal movement from limb to limb when we play drums. It is done very slowly to insure maximum awareness of what it feels like to play with just one limb, then two, then three and finally all four. 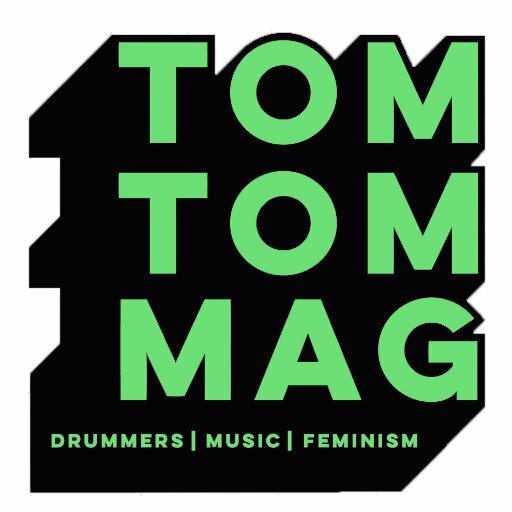 2) How is your method unique from other drumming methods? It’s the only book that I know of that deals with energy flow internally with extensive exercises to help in that development. 3) What do you hope drummers will take away from studying your book? I want drummers to realize that the sounds they are creating are part of the internal flow of energy before, during, and after the sounds they make with each limb. This helps remove blockages that get in the way of playing what you hear. And what you hear starts to become one with the increased internal awareness. 4) What other drummers, musicians and/or life experiences and philosophies have influenced "Inner Drumming”? Jazz music and the call to say something meaningful on the drums has driven me. My need to connect as deeply as possible in my body so that I could let go and create from a timeless place. A way to practice that gets rid of stuck patterns. 5) Who would be examples of other drummers/musicians/artists/athletes that might display the qualities you promote through your book and teachings? Terry Bozzio, Steve Gadd, Bernard Purdie, Matt Wilson, David Garibaldi, Joey Baron, Elliot Humberto Kavee, Michael Vatcher, Jennifer Wilsey, Garth Powell, Steve Smith, on and on. I have a new CD called “Expedition" with Denny Zeitlin which is being received very positively. 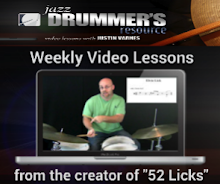 I’ve written hundreds of studies dealing with cross rhythms, odd time signatures, roll studies, tuplet studies and I am also thinking about starting a monthly on-line group lesson on Inner Drumming. Unfortunately, I never had the opportunity to either meet Canadian jazz drummer Claude Ranger nor hear him play live before he disappeared in late 2000. I moved to Montreal and then Toronto long after he had left those cities but his reputation preceded him. Over the years, mainly through colourful anecdotes via other musicians that knew and played with him, I gradually came to appreciate and develop a curiosity for this drummer who was as much a mystery to me as he was recognized as being a passionate Master jazz drummer. One thing that I noticed was how all those that did play with him or heard him perform spoke of him with a certain reverence. This intrigued me and I often found myself asking: "Who was Claude Ranger?" As I gradually became more involved in the Montreal jazz scene during the late 90s and early 2000s, I became more interested in the history of jazz in Montreal and of its historical icons, particularly of its drummers. Claude's name continually popped up in conversations. However, it wasn't until I moved to Toronto in 2007 that I had the opportunity to work with a number of musicians that knew Claude on and off the bandstand during his time in Toronto. After several years of asking around, I am still fascinated by the "legend" that is Claude Ranger but unfortunately limited by the fact that I never heard him and that his available recorded output is quite limited. Fortunately, a recent book by author and former Globe & Mail jazz critic Mark Miller changes this and does a great job of telling Ranger's story. This publication documents Claude's journey in an exceptional way without relying on any of the romanticized mythology that often surrounds Claude. One really gets a sense of Ranger's personality as well as his contributions and influence in the Canadian jazz scene over the course of his life. Furthermore, Miller's book also offers a wonderful snapshot and insight into the jazz scenes of Montreal and Toronto in the 1960s, 70s and 80s through to Vancouver in the 1990s, all through the lens of Ranger's activities in each of those communities. In my humble opinion I believe this to be the most important book on a Canadian jazz figure in recent times. Any musician who aspires to play jazz in Canada needs to read this book. "I knew Claude Ranger. I admired his drumming. I appreciated the spirit and intensity that he brought to the bandstand and to the Canadian jazz scene more broadly. 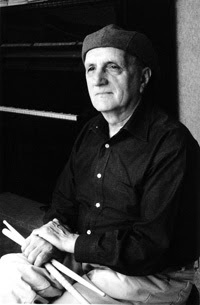 I was intrigued by his approach to music and to life in general, and I was troubled by some of the choices that he made as he reconciled the demands of one with the other. He struck me as an interesting study in the tensions, rewards and frustrations of the creative life, a study that would challenge me as a writer to, on one hand, balance my personal familiarity with him against my professional inclination toward journalistic objectivity, and to, on the other hand, avoid sensationalizing or sentimentalizing his story in the way that biographical studies of conflicted musicians — well, conflicted artists in every field — so often do. That same interest is evident in my biographical studies of Valaida Snow, Herbie Nichols and Lonnie Johnson, in my survey of the pioneering American musicians who took jazz around the world in the 1910s and 1920s (Some Hustling This!) and indeed in the other books I’ve written from a variety of perspectives about jazz in Canada. Canadian jazz musicians have been chronically overlooked in jazz history and Ranger, for one, although well known inside the Canadian jazz community, enjoyed little recognition beyond it. The key, though — the reason for writing the book at all — was ultimately the music that Ranger made and the influence/impact that he had on the Canadian scene from the mid-1960s through the mid-1990s. 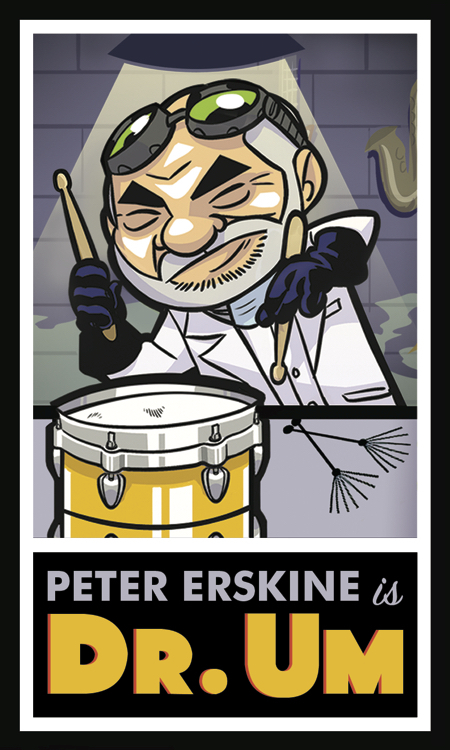 As a drummer, bandleader, teacher and mentor, he set a demanding standard for his contemporaries, and a compelling example for younger musicians — first in Montreal, then in Toronto and finally in Vancouver. He wished from his bandmates the same determination that he himself displayed to, as he liked to put it, “go further.” Some of his bandmates followed and some resisted, but he moved jazz forward in each of those three cities, challenging the status quo at every stop but also, in time, finding himself marginalized — and, equally, marginalizing himself — in the process. In narrative terms, his career path across Canada also offered me a structure within which to investigate and illuminate the history and practice of modern jazz in this country during the late 20th century. This, as seen from Ranger’s relatively contrarian perspective, one that I share, which measured the worth of music by its originality rather than its popularity and by its commitment, not its compromise. Of course, Ranger’s disappearance from Aldergrove, B.C., in late 2000 only adds to the story’s intrigue. His fate remains unknown 17 years later, and perhaps this book will provide a little of the closure that we, as members of the Canadian jazz community, have all needed. It was the Vancouver drummer Dylan van der Schyff, one of many younger Canadian musicians to benefit from Ranger’s support, who initially encouraged me when I was wondering whether or not to write the book. “Don’t just do it for Claude,” he told me, “do it for us.” Only now, with the publication of the book and the response to it, am I realizing just how many of “us” there are." "As far as recordings are concerned, little if anything is available. Quite a few exist only as LPs; those that were reissued on CD, or were recorded as CDs in the first place, are by and large out of print, although I note that Amazon.ca has a couple of copies of the Brian Barley LP/CD, 1970, with Claude’s Le Pingouin. So that’s something. Amazon also has a few new or used copies of Jane Bunnett’s In Dew Time and P.J. 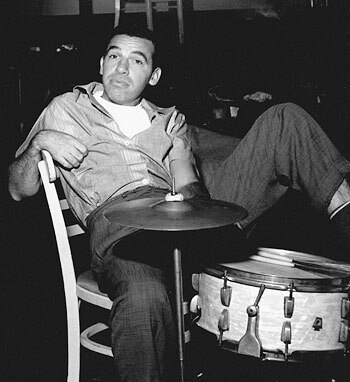 Perry’s Quintet, but the Amazon listing for Don Thompson’s Forgotten Memories is incorrect; the cover and track listing are for someone else’s record altogether…"
Thanks to the intrepid youtube.com user who posted these three clips of Buddy Rich circa. 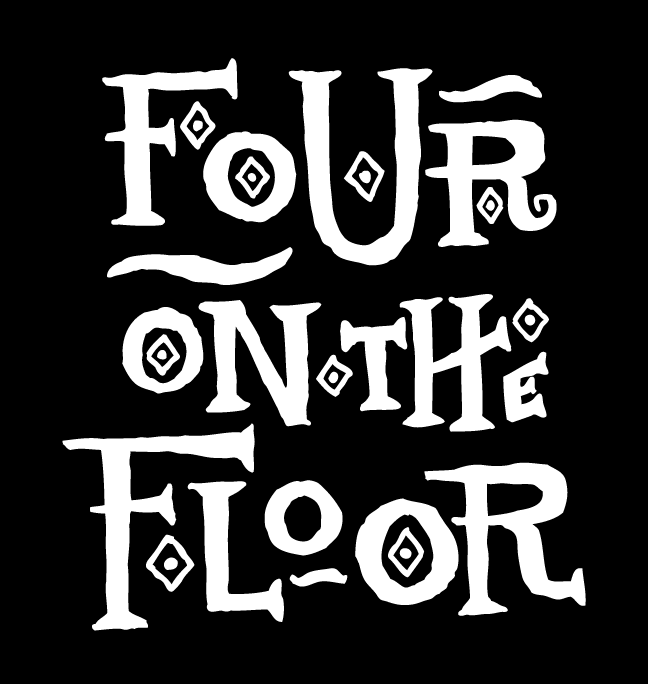 1974 recorded at the ETCETERA Club in Washington D.C.
*Notice how nicely this one swings....and no drum solos! 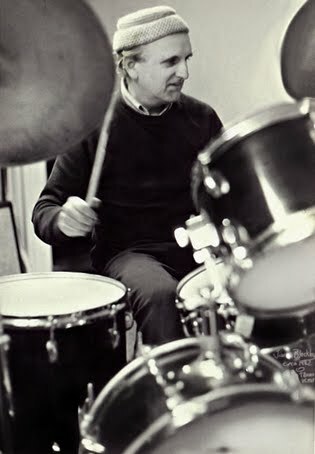 Jim Blackley, perhaps best described as Canada's most influential Jazz drumming educator, passed away on July 16, 2017 at the age of 90. Originally from Scotland and who would later emigrate to Canada, Blackley was the author of such acclaimed books as "Syncopated Rolls for the Modern Drummer" and "The Essence of Jazz Drumming" (a personal favourite in my library...) He was also a prolific teacher whose teachings have, in my opinion, had a significant influence on the state of Canadian Jazz drumming over the past 50 years. 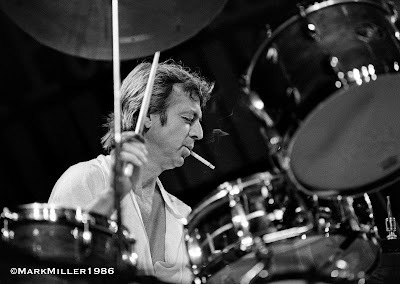 Unfortunately I never met nor studied with Blackley myself however I did study and find myself spending a great deal of time with several major Canadian Jazz drummers that did (including the likes of Chris McCann, Terry Clarke and Barry Elmes.) 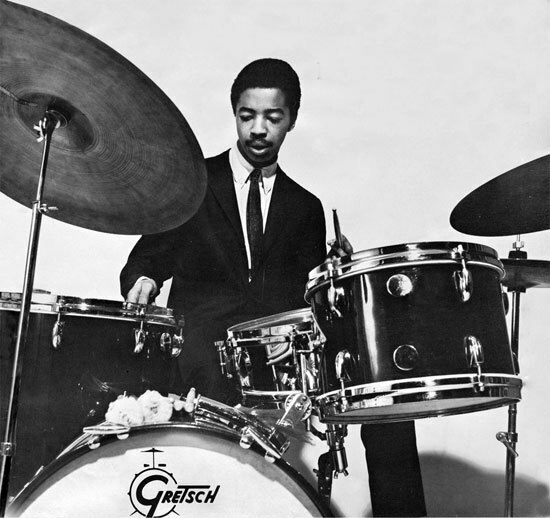 I had heard Blackley's name mentioned for many years but it wasn't until I moved to Toronto ten years ago that I was able to connect-the-dots and realized what an impact Blackley had on our nation's legacy of Jazz drumming. For comparison, I'd say that Blackley was the Canadian equivalent of Alan Dawson and other significant teachers. While I didn't get it directly from Jim, his concept of playing very slow and deliberate time on the ride cymbal, to this day, remains the basis of my own foundation as a Jazz drummer. I'll be forever be grateful for Chris McCann for introducing me to this concept and patiently putting me through my paces. From what I observed, Blackely's teachings were profound and emphasized the importance of musicianship, time and swing above all else. "One of the most important qualities we must develop is patience. Developing the ability to stay with the obvious requires both patience and determination. If the band is popping through a simplistic groove, do not be tempted to add anything." "Knowing where you are in the music at all times, and generating a swinging time feel is what it is all about. Do not imagine you have come to change the course of music, and that your time is beyond question. Continually investigate your time and feeling. The polishing of the time should be like that of polishing the heart to a state of purity. The endeavour is an endless one." "Being a top musician is no big deal. Being a true human being is a very, very big deal. That’s what it’s all about. The more true human beings we become, the more that quality will emanate from our music." "An Interview with Jim Blackley"
Interviewing Jim Blackley was a treat…. The talk was smooth, ample and of considerable substance. Most of all, it had heart, which is very important to Jim. He simply refuses to do half a job…. He has traversed continents and musical boundaries, he has sacrificed willingly the material amenities – all in a journey toward a life of honour, proportion, balance and excellence. I left his house clear headed and relaxed, notwithstanding having held off on cigarettes and coffee for several hours…. I’d had my first lesson with Jim Blackley. Jim is something of a curiosity to many musicians. Billed the “Swinging Scot” during one of his spells in New York, he is well respected by the upper circle of Toronto drummers, many of whom make return visits for chats, repairs and inspiration. While Jim’s system arises from the best of Scottish and American drumming traditions, it is a true method for any instrument. Never before, perhaps, has music been stressed so much at the expense of technique. Jim believes that if you know music – really know music – and can hear it at any tempo and grasp it’s inner logic, you will discover surprising technique. And nobody leaves Blackley’s once a month sessions with any doubt about what it takes to make music…. But don’t rush to buy a ticket to Toronto, Jim’s home. There is a waiting list. It all seems to work out nicely though. Jim is helping others turn craft into art, and he spends his time enriching his musical and spiritual being. Although you’ll seldom see Jim perform in public, let me assure you, the man can play! 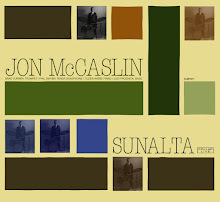 Q: Someone once told me that there are certain patterns that you can learn, but never really pull off authentically…. You can practise them and play them, but they never actually become part of you. Do you feel that one can learn to master a style, or is that facility innate? JB: I think that environment is one of the most important things in development. Music is a language and has to be learned…. If you’ve never heard Spanish spoken, then you’re not going to learn to speak Spanish. If you want to be a jazz drummer and have never heard jazz being played, then you’re just not going to learn to play jazz. You have to expose yourself to the jazz language. The first thing any musician should be taught is the art of listening. It’s excellent if everything starts off in a natural way and you grow up in a home where parents are playing music morning to night, like my kids are. My oldest son Keith is the only one who is a professional drummer, but my other sons Brian and Scott are also excellent musicians. I don’t approach teaching from the learning of rudiments. Not that there isn’t any value to rudiments, but the important thing you must give the student is direction about understanding structure, listening to chord changes, listening to the bass line, how to play the time and punctuate the phrases – these are the things that the musical player must learn. It has nothing to do with playing the rudiments. 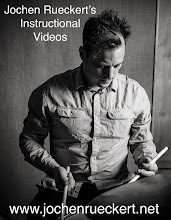 I could direct students into being outstanding jazz drummers without ever teaching one rudiment, yet I could cover everything that’s being played in jazz, because everything develops from playing TIME. My whole concept is based on approaching everything from the TIME. All rhythms and figures are first developed as cymbal patterns. Students learn to hear the musical line, played over chord changes, the bass, and the melody line. And then, they learn how to take that single musical line and explore the total drumset…. They are playing musical lines, not rudiments! The first two things students of jazz have to learn are the 12 bar blues and the 32 bar chorus. Those two things cover a large portion of jazz composition. Listening to singers in order to learn lyrics is another important aspect. When you learn all the tunes through the lyrics, you develop a natural foundation for the form, not an intellectual one. When you’re playing and singing the song, you may not intellectually know where you are, but you just feel where you are. I’m a believer in learning all the bebop heads, and learning to sing them, because if you can’t sing the head from beginning to end, it’s impossible to accent properly. When students come to study with me, I’ll sit them behind the drums, play a very basic 12 bar blues record, and ask them to play some time. Next, I’ll play something with a 32 bar form and ask them to play to that. Then I will ask if they know where they are in the music? All of them will say “Oh yeah, I hear it….” And I’ll say “Fine”. Then I’ll drop the needle at random on the record and ask them to tell me which bar of the tune they’re on. Eight out of ten cannot tell where they are, they can hear the beginning and the turn around, but they can’t tell whether they’re on the fifth, ninth or eleventh bar. The Jamey Aebersold instruction records have been an invaluable aid for the students because they were designed for professional development. The student gets the opportunity to clearly hear the bass and chord changes. I can truthfully say that there are very few students who have come to me who don’t have the potential to be first class players. I’m not saying that everyone has it, but everyone has it at different levels. We must be very, very careful at the beginning about assessing the potential of any student. People who have not been exposed to any listening at all are not going to respond when you sit them down behind a set of drums to play with a jazz track. You have to educate their listening habits while you’re fostering their technical habits. If I find that a student is developing a very high technical and musical proficiency, but is not performing, I’ll stop the lessons until that student goes out and does some playing. It’s disastrous for a student to pursue years and years of study without any musical outlet. I know numerous teachers who tell the students to wait four or five years until they get all of their chops together before they go out and play. My philosophy is the opposite: I want the students out playing from the very first lesson. Even if they can only play quarter notes on the cymbal, I want them out playing from the beginning. I tell them that, if they get a call to play while they’re practising, they should throw the books in the garbage, and go out and play! Q: Do you find that kids who have grown up listening to rock music have a hard time relating to jazz? JB: I don’t find anything negative about the kids who have grown up playing rock music, I find that it has been an excellent stepping stone for introducing young players to jazz. It gives them the opportunity to perform with other human beings, and that’s what it’s all about. We should be thankful for rock music introducing young people to performance. Let’s be very frank about it: The artistry needed to be a top flight jazz player overshadows the musicality needed to be a rock player. On the other hand, to me, the most important things to be captured in any aspect of playing are the feeling and the groove. If you can’t get the groove, you may as well stay at home and phone it in. It’s sad, but the majority of drummers just don’t swing. It’s not that they’re not capable of swinging, it’s that they don’t understand the elements of swinging. It’s not too intangible to discuss. There’s been so much nonsense through the years about how you either have it or you don’t, and that no one can teach you to swing. That’s absolute nonsense! Swinging is not an accident, there are definite ingredients in swinging that have to be understood. First of all, there are far too many drummers playing jazz who are not playing with a jazz feeling – they’re playing with an eighth note feeling, instead of off the triplet. 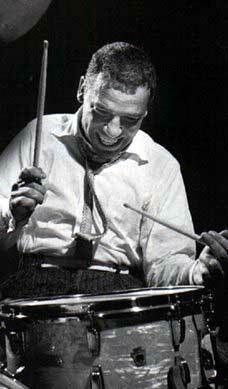 The triplet feel is basic to jazz performance, and the perfect example of that is Elvin Jones. His playing is rooted in the blues. From the first time I heard him, I found his playing so basically simple and so beautiful. The problem is that very few people know how to listen to Elvin Jones. His whole playing is centred off the anticipation of beats 1 and 3. Listen carefully, and you’ll discover this. When you can hear that in his playing, it makes it so simple. Very soon I will be publishing a book which will explain the essence of jazz drumming through the years (the now acclaimed “Essence of Jazz Drumming”). It will be a whole study of jazz time and jazz rhythm to show how musical lines are developed, and how all the figures come from the time. Any young player interested in playing jazz should investigate the triplet very, very thoroughly, because therein lies the essence of jazz time. One of the biggest faults I hear with many jazz drummers in their playing of the ride cymbal is their accenting of the cymbal on beats 2 and 4. The feeling should be one of 4/4, because the main duty in playing the ride cymbal in this manner is to complement the bass line – the 1,2,3 and 4 of the bar should have equal stress. The hi-hat will stress the 2 and 4 as much as necessary. Ah, Elvin Jones doesn’t play his CYMBAL off that particular concept, but if you listen closely to the embellishments that Elvin does around his cymbal rhythm, you will find that creates a feeling of four and gives it forward momentum. His cymbal, which plays off the anticipation, gives it that feeling of going back, and that’s why Elvin’s time has that wonderful laid back feeling…. The message you get from Elvin depends on which part of his line you are hearing. One of the most confusing things that we can encounter is a transcription of a drum performance because, when put down on paper, it gives a completely false impression of what’s being played. What you see is a single line, not the totality of what’s being played. A most difficult aspect of playing is to play a straight ride beat devoid of any accents or variations. Some horn players like the time behind them to be very straight and simple. If you have not developed the control to handle this type of playing it can be very embarrassing. Mastery of this concept will give your playing a solid foundation from which to grow, although this is certainly only one approach to playing time. Jake Hanna is an excellent example to listen to. 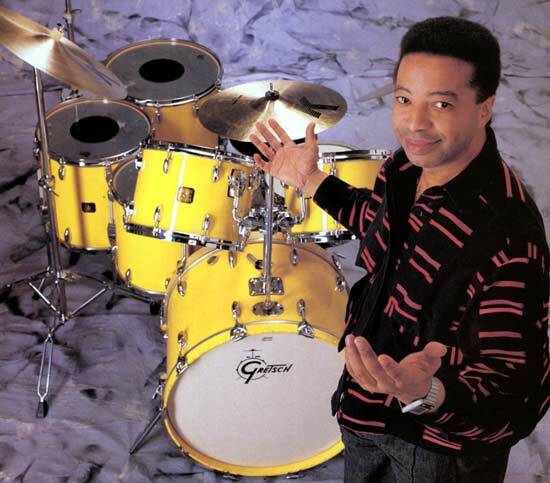 As I mention often, you have to listen to the right people, and one of them has to be Tony Williams. Tony definitely brought his own sound to the instrument, coupled with outstanding musicality. When it comes to big band playing, I feel that Mel Lewis is one of the top exponents. His ability to play the musical line knocks me out. He understands the difference between the horizontal and the vertical, and hears and responds to consonance and dissonance…. A very musical drummer indeed. Q: Do you feel that for the time to feel good, it has to be metronomically perfect? JB: When we are involved in musical performance, there is such a thing as emotional rushing or dragging. This is musically acceptable as long as it’s something that the band feels and does collectively. When only one member is doing it, it becomes a “tug of war”. But if it is stemming from the whole concept of the music and the emotion that’s coming through the music, then it’s beautiful. You’ll find that with some of the great players, ballads will tend to get slower – within reason, of course. When you’re playing a moderate or bright tempo, there is nothing wrong with the time moving up slightly. But when you find performances where they practically double the tempo by the end of the tune, then I don’t consider that musical at all, that’s really just a lack of control. Q: Do you ever recommend the use of a metronome? JB: Of course….. I’ve never met anybody yet who couldn’t benefit from the intelligent use of a metronome. But don’t become a slave to it. The metronome should be used to check out your time. What you will find is that you have three or four tempos that you feel very comfortable and natural with. What the metronome is good for is making you play through the other tempos – the “blind” tempos, as I call them – to make yourself persevere and master tempos from one end of the metronome to the other. The hardest thing is playing slow…. The essence of my teaching is built on that premise. I never talk to a student about playing fast. The slower you can learn to play, the happier you’ll make me. You will never be able to play slow enough to satisfy me. The essence is in the space between the notes. Once you can hear the space with confidence you can start to do unbelievable things from within that space, and the up tempos become very easy to play. Naturally, you have to practise playing fast as well, but the emphasis is on playing as slow as possible. Usually, quarter note equals 40 is where I have my students practise their material. We build it up from there. To me, the whole conception and feeling for space comes from the art of playing slow. Q: What led you to write your book “Syncopated Rolls”? JB: Back in about 1959, Charles Mingus came to Vancouver. From the first moment, I was fully aware of what was going on in that band, and what Dannie Richmond was doing. Dannie and I struck up a beautiful friendship, and I invited him to my home. When he came over, I played him some solo pipe band drumming records that were made in the 40’s, and after Dannie heard them he said “I don’t care what you call that, man, that’s jazz!” I then proceeded to show him some of the ideas and concepts I had developed for drum set. When I finished playing he threw his arms around me and said “You’re the first white drummer I’ve met in my life who plays black!” His enthusiasm for my concepts resulted in my writing Syncopated Rolls. You know, it’s interesting to see the way things go, for it seems that many players are just beginning to realize the depth of musical material in these books. It goes way beyond what the title suggests. The new two-volume edition seems to be hitting the right spot’. Q: What are your personal goals as a player, a teacher and a person? JB: Being a top musician is no big deal. Being a true human being is a very, very big deal. That’s what it’s all about. The more true human beings we become, the more that quality will emanate from our music. There’s no such thing as gaining spirituality from the music. The spirituality comes from within as we develop the qualities of God and surrender to that power. The thing is, I’m not someone who just sits here teaching. I only teach one student a day, and I only take one student one day each month. I could have hundreds of students if I wanted, but I’m not interested in making money. I’m interested in helping to contribute, through God’s grace, to another human being’s life. If I do my duty to God properly, then I’ll do my duty to every human being I encounter. If I can bring something to someone else’s life, then that’s really good. Now don’t misunderstand. I spend hours every day playing and practising. I’ll never be satisfied with my playing! I was down in my basement the other night for three hours practising something I was trying to get. I made a comment in my book that developing time to a state of perfection and feeling is like polishing the heart to a state of spotless purity… It’s an endless endeavour. My students are not just people who come here and pay me a few dollars. No. They are very important people in my life. They contribute so much to my development. I learn so much from every student who comes here – not only about music, but about life. It’s like a family relationship with all of the students I’ve had over the years. We get together as a group three or four times a week to play. It isn’t a tea party, we play! They work their buts off. We don’t just play dance music, we play jazz. A lot of what I hear is well played, but there is no improvising. There are no chances being taken, and that’s not what jazz is all about. If you’re going to improvise you cannot be right all the time. Miles Davis is one of the classic examples. He turns what people would call wrong into a musical gem. That’s the thing that I’ve always liked about Elvin’s playing: There’s that raw jungle type of sound and feeling. There’s a roughness to it, but although there’s a roughness, let me say that Elvin has one of the finest touches of any drummer playing. People talk about Elvin playing loud, but he’s one of the most sensitive and delicate drummers I’ve ever heard in my life. Listen to some of the ballads he plays – that lovely loping feeling he gets from those slow blues things he did with John Coltrane. He’s been playing the same things for the past 20 years, but every time he plays them he makes them sound as if he’s inventing and creating them at that particular moment. He has such a brilliant and fluid way of using his drumset that is always sounds fresh. Now that is artistry! Improvising is the ability to take a two-bar motif and play it through a composition and have no one know. Or being able to take simple ideas and turn them inside out, upside down, move them around, and make a total composition from a simple two-bar phrase. That’s what Max Roach was a master of…. He could develop a whole composition from a two-bar phrase. When you’re talking about top players it’s nonsensical to pit one against the other. 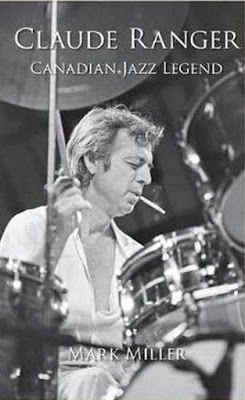 If you cannot go out and listen to Elvin Jones, Tony Williams, Max Roach, Jake Hanna, Philly Joe Jones, Mel Lewis, Terry Clarke, Keith Blackley, Shelly Manne or Dannie Richmond and enjoy them for what they are, then you’re not interested in music. You’re going for some other reason…. In every type of music there is a groove. It doesn’t matter if you’re playing country, funk, rock, Viennese waltzes, or polkas, there’s a groove. The thing is to find out what really creates the groove. That’s the thing that must be investigated, and that’s what’s not being investigated enough. To be sure, there are various ways to generate the time, and the swing within the time, but it seems to me that swinging is being confused with excitement, and excitement is being confused with getting excited. The aim is to become a musically exciting and swinging performer, irrespective of the idiom.